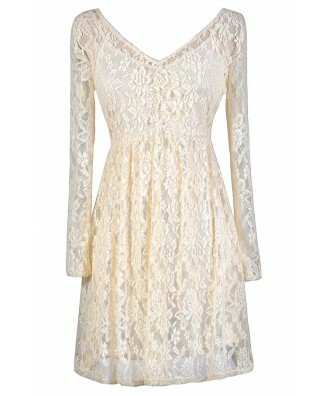 This longsleeve lace dress is a sweet and angelic look that can be worn so many different ways! The Angel In The Morning Longsleeve Lace Dress is made entirely of lace and has a spaghetti strap cami dress underneath for opacity. The sleeves and top back are semi-sheer, so you may want to wear a fitted cami underneath. We love the V neckline with ruching at the bust as well as the classic flowy cut of this dress. 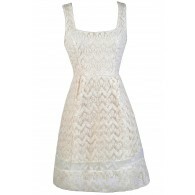 This would make a lovely rehearsal dinner or bridal shower dress. Try pairing this dress with pumps, wedges, or strappy sandals and a floral headband. In colder months, you can wear this dress with tights for a cute 90s-inspired style. Details: Lined except at sleeves and top back. 100% nylon. Lining: 100% polyester. Hand wash cold water separately. Color will bleed. No bleach. Hang to dry. Small measurements: Length from top of shoulder to hemline: 33". Bust: 30". 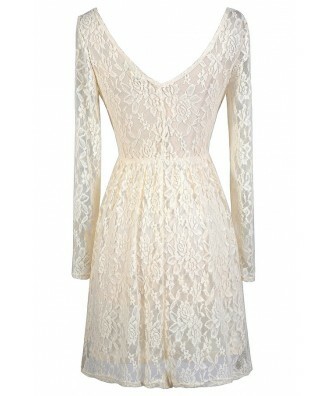 You have added Angel In The Morning Longsleeve Lace Dress in Ivory into Wishlist. 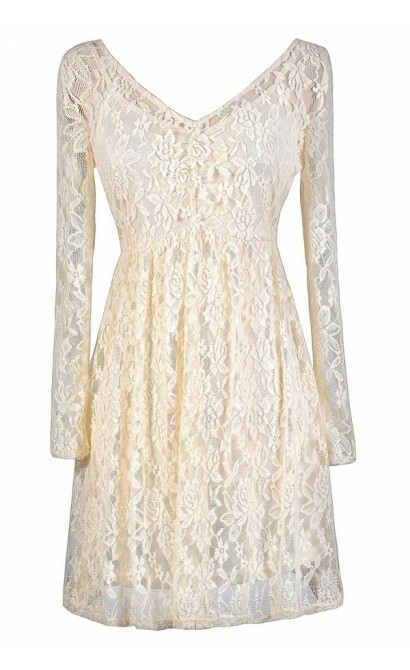 You have added Angel In The Morning Longsleeve Lace Dress in Ivory for Stock Notification. You have set Angel In The Morning Longsleeve Lace Dress in Ivory as a loved product. 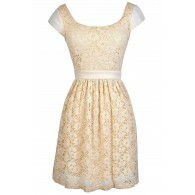 You have removed Angel In The Morning Longsleeve Lace Dress in Ivory as a loved product.